With its flanking neighbors, No. 1027 formed the centerpiece of a striking group. As was the case with Edward C. Clark, real estate was a diversification for Benjamin W. Williams. 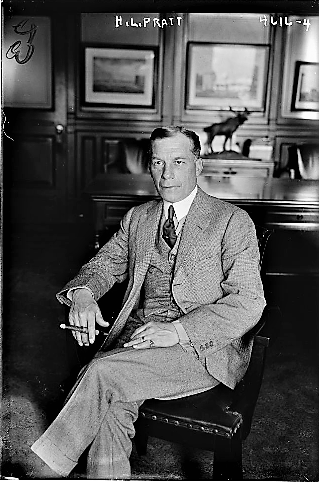 Clark, who was responsible for extensive development of the Upper West Side, made his massive fortune in the Singer Sewing Machine Company. Williams, who focused on the opposite side of Central Park, had grown wealthy in the marble trade. And like Clark, Williams put his money into high-end speculative projects. In June 1901 he purchased the two empty lots at Nos. 1026 and 1027 Fifth Avenue from John W. Simpson. Within the month he had engaged the firm of Van Vleck & Goldsmith to design lavish mansions on the site. Plans were filed in November. The projected construction costs for the pair--more than $8.5 million today--promised that the speculative homes would hold their own, or surpass, their directly-commissioned counterparts. Among the latter was the Beaux Arts town house being built concurrently at No. 1028 Fifth Avenue. 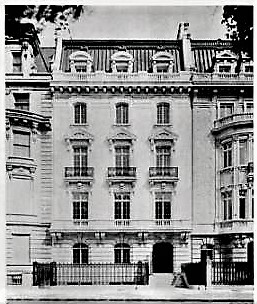 Jonathon Thorne's mansion, at the corner of 84th Street, was designed by C. P. H. Gilbert. The successful architectural interaction of the completed group suggests that the architects may have cooperated in the designs. Completed in 1903, No. 1027 was a commodious 40-feet wide. Faced in marble, its rusticated base supported a substantial balcony at the second floor, or piano nobile. The flush facade of the upper floors, flanked by the bowed bays of the Nos. 1026 and 1028, served to make this the centerpiece of the trio. The shared cornice lines, harmonious mansards, and similar bays on the end homes combined to make the three mansions an especially elegant group. The Real Estate Record & Builders' Guide did not hold back in its glowing opinion of the mansion. On April 14, 1906, it reported "The finest dwelling house ever erected in this city, on speculation or for sale in the open market, was bought this week by George C. Clark, of Clark, Dodge & Co., bankers." Clark had paid a staggering $540,000 for the mansion, just under $15 million today. The article added "The interior is finished in a magnificent scale." George Crawford Clark was also a director in the Chicago, Burlington & Quincy Railroad Co. and other corporations. Born in St. Louis in 1845, he and his wife, the former Harriet S. Averell, had five children, Julia Seymour, George, Jr., Edith Gilbert, Marian Averell, and James Averell. The family's summer estate, Overdune, was in Southampton, Long Island, where the Clarks were listed as "prominent." The mansion was the scene of Edith's wedding to Reginald Francke on January 16, 1909. The impressive ceremony was officiated by Bishop William Croswell Doane of Albany, assisted by Rev. William R. Huntington of Grace Church. The Clark family was out of town in October 1913 when extremely disturbing news arrived. Among their Fifth Avenue staff was Augusta Kechman, who had been the family's cook for several years. On October 12 none of the servants could find Augusta, who had been "despondent" for a few days. A maid, Matilda Cleary, checked the basement. There, in the trunk room, she found the 60-year old woman hanging by a rope from an overhead pipe. Two years after war spread throughout Europe, New York socialites did their part to raise funds for relief. 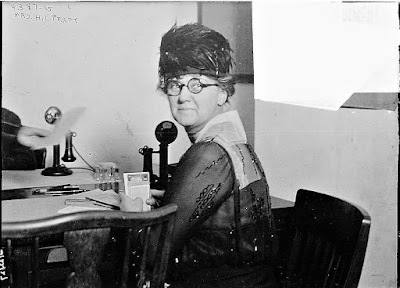 Harriet opened her house in March 1916 to aid the War Relief Clearing House for France and Her Allies. Herbert Ward, an English explorer, sculptor and artist, addressed a group, telling of "his experiences in the present war, dealing largely with the personal narratives that teemed with human interest, stories of acts of courage, deeds of daring and the loyal unselfish devotion of the French women to their cause," explained The Sun on March 7. "He illustrated his talk with drawings made by him at the front." At the time Marian had taken a career path that most likely went counter to her parents' expectations. In the summer of 1915 she made her debut on stage as a professional singer. While studying in Paris, she met Paul Doughtery, a Brooklyn native who, despite his family's hopes that he would become a lawyer, was "working there on his art," according to the New-York Tribune. The couple was married in the Clark mansion on June 17, 1916. "Only relatives and a few friends were present at the ceremony," reported the New-York Tribune. There were no costly floral decorations and no joyous reception. In fact, the brief article made the ceremony seem like a near-annoyance. "Mr. and Mrs. Clark are at their summer home at Southampton, Long Island, for the summer, and opened their city home just for a few hours yesterday for the wedding." Doughtery, incidentally, went on to become a well-known marine artist, his paintings acquired by the Metropolitan Museum of Art, the Chicago Art Institute and the Corcoran Art Gallery among others. George and Harriet escaped the Manhattan winter of 1918-19 by going to Aiken, South Carolina. George died there on Monday, February 24 at the age of 74. 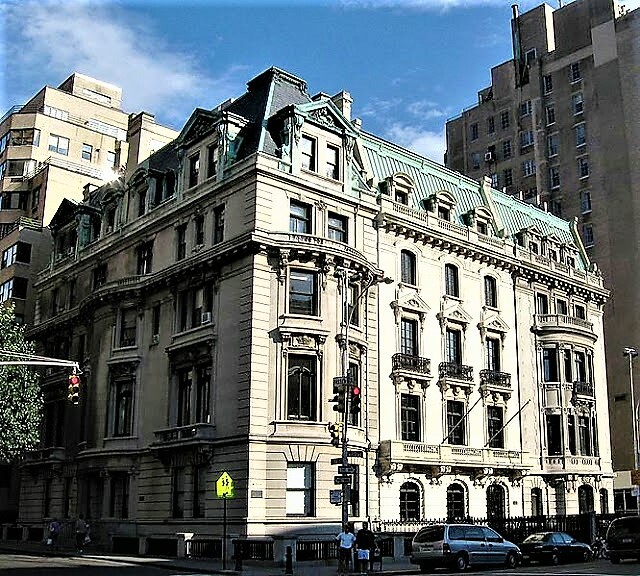 Upon her return to New York, Harriet sold the Fifth Avenue mansion to Herbert Lee Pratt. Pratt was the son of Charles Pratt, a founder of the Astral Oil Works, which became part of the Standard Oil Company. By now Herbert was a vice president of Standard Oil. He and his wife, Florence Balsdon Gibb, had five children, Edith, Herbert Jr., Harriet, Florence and Frederic. The family had no shortage of country estates. In 1914 construction was completed on The Braes in Glen Cove. 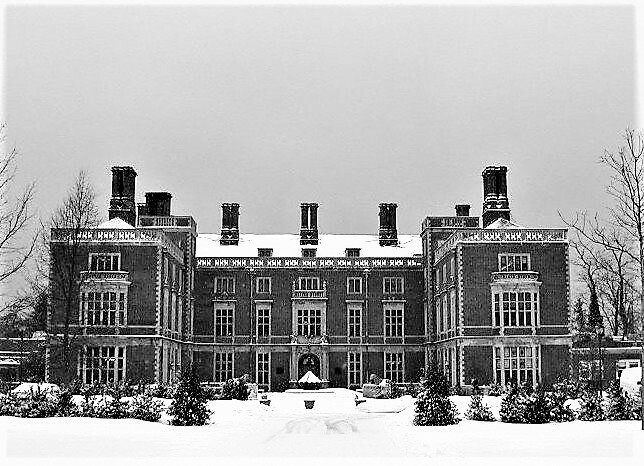 Designed by James Brite, the neo-Jacobean style mansion was a Long Island showplace. 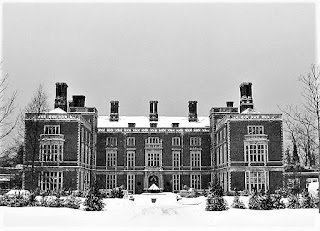 Good Hope was the family's plantation and hunting lodge in South Carolina; and Pine Tree Point, a Japanese-themed "camp" on Upper St. Regis Lake, New York, had formerly been the property of Frederick William Vanderbilt. 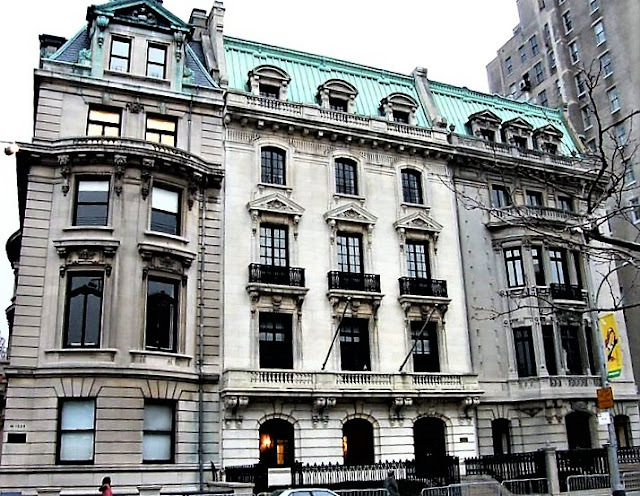 In addition to their moving into the Fifth Avenue mansion, 1919 was a socially significant year for the Pratts. 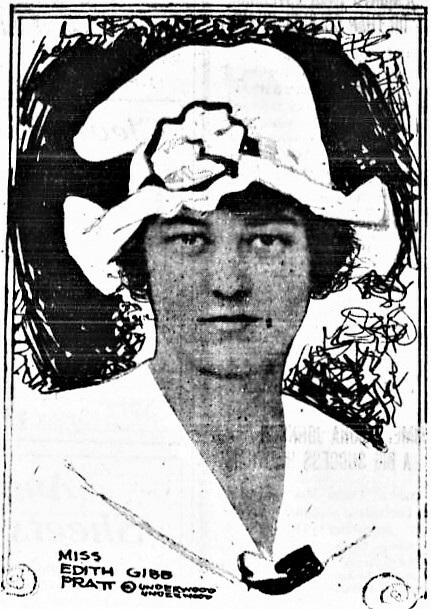 On November 20 Edith Gibb Pratt was married to Allan McLane, Jr. Following the ceremony in St. James's Church on Madison Avenue, a reception was held in the house. The Sun noted that "After their wedding trip Mr. McLane and his bride will live at 1027 Fifth avenue." Florence's focus quickly had to turn to Harriett's debut. Three weeks later she hosted a luncheon for Harriet, and then, on New Year's Eve, Harriet was introduced to society with a dance in the mansion. Harriet does not seem to have been in a great hurry to marry; but her social calendar was nonetheless full. On the evening of November 14, 1922 both she and her parents were entertaining. That night she invited "200 of her young friends" to the mansion for dinner and dancing. While she was busy socializing at home, her parents gave a theater party for 50 of their friends. The New York Herald mentioned that they "later will go to the dance." It would be the last large entertainment in the house before Harriet and her parents left on November 21 for what The New York Herald termed "a trip around the world." And indeed it would be. After sailing through the Panama Canal, they visited Hawaii, Japan, China, India, and Europe. In addition to her social obligations, Florence Gibb Pratt was an active suffragist. photo from the collection of the Library of Congress. 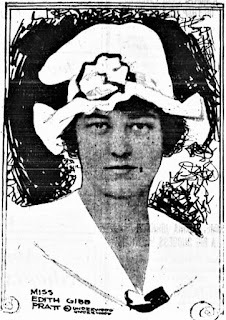 On May 6, 1923 The New York Times announced "The season for fashionable country weddings has commenced, the largest of which will be that of Miss Harriet B. Pratt...and Lawrence Bell Van Ingen, at Glen Cove, L.I., on June 28, when four special trains will be used to convey the guests to this city to Glen Cove where the Pratts have their family estate." The following winter season was Florence's turn in the social spotlight. Her debutante entertainments culminated on April 3 1924 with a dance in the Fifth Avenue mansion. 1926 was another auspicious year for the Pratts. In July Herbert Jr.'s engagement to Hope Winchester was announced, followed by Florence's engagement to Francis E. Powell, Jr. two months later. Both were married in Grace Church; Herbert on November 4, and Florence on December 21. That same year the newly-founded Marymount School of New York purchased the former Thorne house at No. 1028. Following Florence's death in 1935 Herbert sold No. 1027 to the school, which then purchased No. 1026 in 1950. Marymount School's use of the combined properties resulted in their survival through the decades that saw Upper Fifth Avenue's palaces demolished for modern apartment buildings. Much of the interior detailing has been preserved and the exteriors are almost perfectly intact, enabling the passerby to easily imagine carriages and limousines waiting for the Clarks and the Pratts at curbside. By the way, the Pratt’s moved to 1027 after a decade or so in a full floor apartment at 907 Fifth Avenue. They were original tenants in the building and their vast apartment there has to have been one of the largest in New York with, among other amenities, an enfilade of library, drawing room and “living room” stretching some 100 feet along the Madison Avenue front of the building. Unable to find another tenant willing to rent the entire enormous space, the building’s owners split the apartment in half. The northern piece was leased by Anna Clark, widow of Senator William Clark and was one of the apartments in the building still owned by Huguette Clark when she died.